Architect and writer Louis Henri Sullivan was born in Boston, Massachusetts, on September 3, 1856. Sullivan spent much of his youth on his grandparents' small farm. At age sixteen, he entered the Massachusetts Institute of Technology to study architecture. A pioneer in the design of skyscrapers, Sullivan not only contributed to Chicago's role as a center of architectural innovation, but inspired generations of architects with his core philosophy that "form ever follows function." Among them was Prairie School icon Frank Lloyd Wright, for whom Sullivan served as a mentor. Having worked briefly as a draftsman in Philadelphia, in 1873 Sullivan moved to Chicago, then in the midst of a building boom following the great Chicago Fire of 1871. After a stint in the office of William Le Baron Jenney and a study trip to Europe, Sullivan first worked for and then joined in partnership with Dankmar Adler, a well-connected architect and engineer. 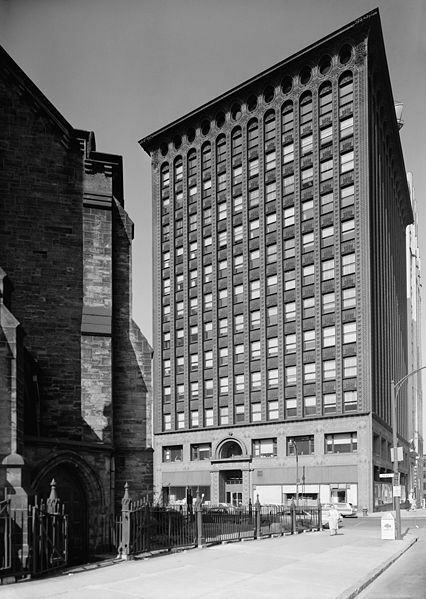 During the next fourteen years, the firm of Adler and Sullivan produced over 100 landmark buildings, including public and commercial projects as well as private residences. Their first large-scale commission, the multi-use Auditorium Building (1886-90), became one of their most widely renowned efforts. Louis Sullivan was born to an Irish-born father and a Swiss-born mother, both of whom had emigrated to the United States in the late 1840s. He grew up living with his grandmother in South Reading (now Wakefield), Massachusetts. Louis spent most of his childhood learning about nature while on his grandparent’s farm. In the later years of his primary education, his experiences varied quite a bit. He would spend a lot of time by himself wandering around Boston. He explored every street looking at the surrounding buildings. This was around the time when he developed his fascination with buildings and he decided he would one day become a structural engineer/architect. While attending high school Sullivan met Moses Woolson, whose teachings made a lasting impression on him, and nurtured him until his death. After graduating from high school, Sullivan studied architecture briefly at the Massachusetts Institute of Technology. Learning that he could both graduate from high school a year early and pass up the first two years at the Massachusetts Institute of Technology by passing a series of examinations, Sullivan entered MIT at the age of sixteen. After one year of study, he moved to Philadelphia and talked himself into a job with architect Frank Furness. The Depression of 1873 dried up much of Furness’s work, and he was forced to let Sullivan go. At that point Sullivan moved on to Chicago in 1873 to take part in the building boom following the Great Chicago Fire of 1871. He worked for William LeBaron Jenney, the architect often credited with erecting the first steel-frame building. After less than a year with Jenney, Sullivan moved to Paris and studied at the École des Beaux-Arts for a year. Renaissance art inspired Sullivan’s mind, and he was influenced to direct his architecture to emulating Michelangelo's spirit of creation rather than replicating the styles of earlier periods. He returned to Chicago and began work for the firm of Joseph S. Johnston & John Edelman as a draftsman. Johnston & Edleman were commissioned for interior design of the Moody Tabernacle, which was completed by Sullivan. 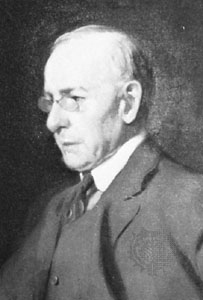 In 1879 Dankmar Adler hired Sullivan; a year later, he became a partner in the firm. This marked the beginning of Sullivan's most productive years. And it was at this firm that Sullivan would deeply influence a young designer named Frank Lloyd Wright, who came to embrace Sullivan's designs and principles as the inspiration for his own work.